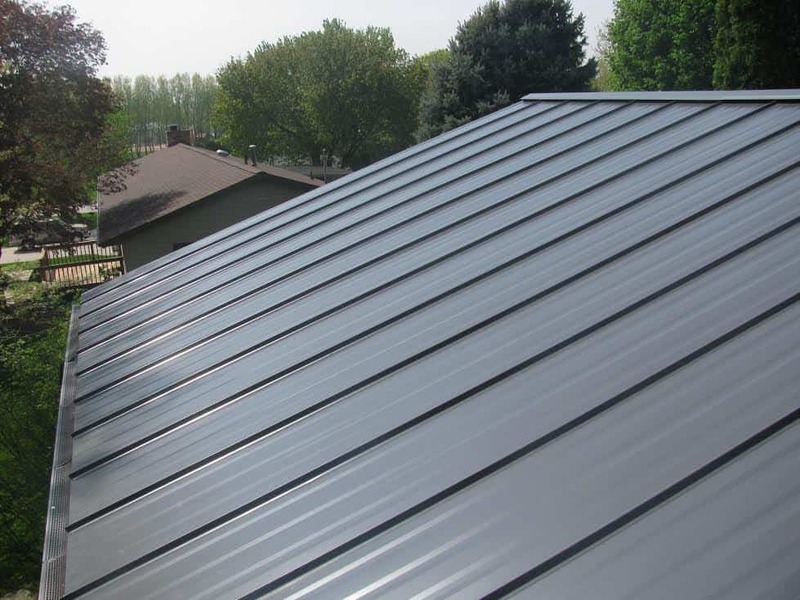 The hidden fastener, standing seam Snap-Lock profile is commonly the preferred choice for metal roofing in residential and commercial applications. This style of metal roof panel requires two-panel seams to snap together. Structural standing seam panels have side laps between the metal roofing panels that are arranged in a vertical position above the roof line. The metal roof panel system is secured to the roof deck by means of concealed hold-down clips or fasteners. Because of its excellent performance, a standing seam metal roof is the surest way to secure the investment you’ve made in your property. Every day the roof of a building is subjected to either the wind, rain, snow and/or UV rays and a metal roof is highly resistant to all of that. Affordable Metal brings roll forming to the job site for contractors as well as property owners with a state-of-the-art standing seam machine, roll forming the 1” Snap-Lock and the 1.75” Snap-Lock standing seam profile panels. On-site fabrication eliminates shipping damage, insufficient quantities, and sizing errors while providing savings in packaging and freight. Affordable Metal markets Galvalume metal with Trinar® (sometimes referred to as Kynar 500 AkzoNobel) paint finish for standing seam applications. This resin-based metal coating system provides the ultimate resistance to fading, chalking, and rust. See more information about the Trinar®/Kynar specs. Go GREEN with Cool Metal Roofing: Cool Metal Roofing Brochure.